Libélula en Perú – Peace Corps Volunteer. 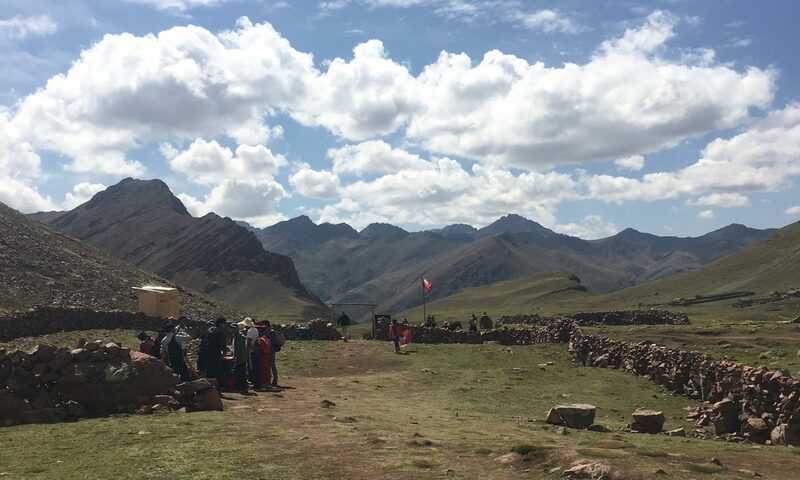 Peru 2018-2020. CED. What is in your 2019 piñata? Be still my freshly broken arm and sports bra full of cement. Sharing "American" culture with Peruvians by making Thai and Mexican food. "It was the first time I set down the thought I didn’t belong." That didn't last. It's not about the accomplishments. It's about time. Practicing "good enough is perfect"
Keeping it real: There isn't a pot of gold on this end of the rainbow. Immersion means leaving the house and talking to strangers. A lot. Still wondering after two weeks why I am not skinny and fluent in Spanish. What kind of rehab is this? This week didn't make me quit. And it features a scorpion carrying a message from the gods. Also a sizable cabbage. Life hack: Hide trashy junk food everywhere. You never know what minute you'll need to use coping chocolate. During the final week of Site Exploration four chickens and one rooster have a slumber party. It ends up with zombies. A second week of awkward blind introductions to innocent unsuspecting strangers in Oxapampa, Pasco, Perú.